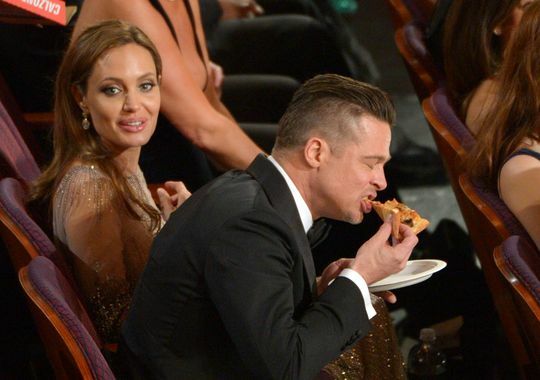 With 43 million people watching, the owner of Big Mama’s and Papa’s Pizzeria Edgar Martirosyan served the most famous celebrities in Hollywood at the Oscar’s last night. The craziest thing of all? Apparently he had no idea he would appear on a live broadcast of the most watched award show in history let alone serve celebs like Martin Scorsese, Julia Roberts, and Brad Pitt. 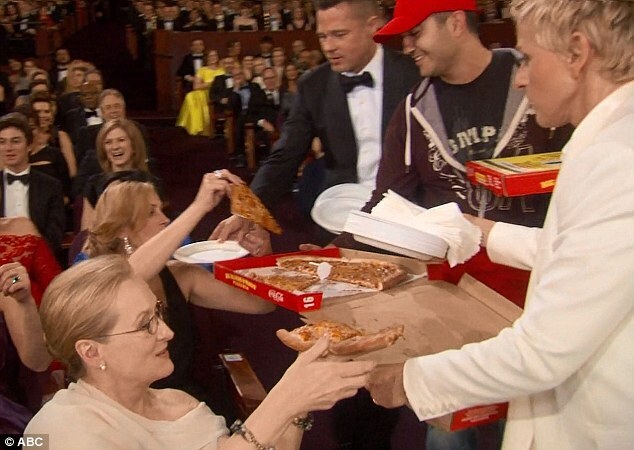 He was simply told he would be delivering pizza to writers then suddenly found himself on stage with host Ellen DeGeneres passing out greasy slices to glammed up celebs. “This is the real American dream,” Edgar told Piers Morgan on tonight’s show. Obviously this sort of publicity for any business owner would be an absolute game changer (not to mention the $1,000 tip couldn’t hurt his monthly budget) but excuse me for calling this pizza party stunt out for being in poor taste. 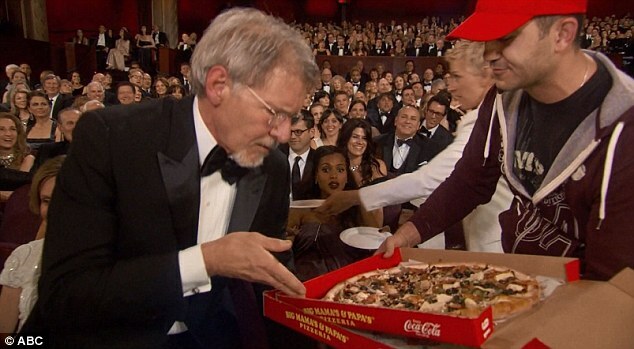 After the slices were passed around (“Harrison, you want some pizza?” Ellen asked), the show cut to commercial then Ellen passed around Pharrell’s hat collecting hundred dollar bills that people like Harvey Weinstein threw around carelessly. 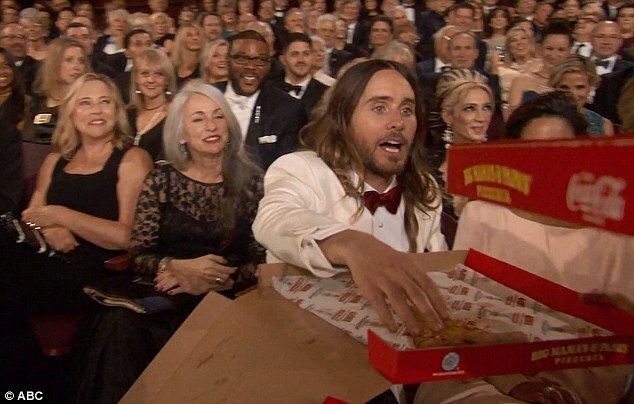 Now forgive my sensitivity, but in a room of Prada-clad women and suited up male stars, looking at some of the richest people in the world have an impromptu pizza party where they think of $200 as pocket change for a pizza delivery boy is to me somewhat repulsive. My greatest source of disappointment however comes from the the pizzeria of choice (Sorry, Edgar!). While I love the spontaneity and the casual concept at a black tie event, the producers could have at least done their research on who to employ. Why give a subpar pizzeria the level of recognition a company would pay over 5 million dollars for if we compare it to a minute and 30-second ad slot? Granted the pizza offerings in L.A. are scarce, but after talking with a few Californians (“Yeah, that’s the joint across the street from Grauman’s. Tourist street trash.”), scanning photos and reading several reviews, I’m convinced that Big Mama’s and Papa’s is far from the best L.A. has to offer. To be fair, this place is known for its size (maxing out at 36 inches for a pie), and perhaps quality isn’t a focal point, but if it’s anything like one reviewer Adrian Robert said: “Easily one of the most painful and grotesque experiences of my life. Would happily hang myself before ingesting this bile again, no exaggeration at all. Absolutely disgusting!” I’d likely pass just like Leonardo. A simple search for crowd-sourced reviews on TripAdvisor and write ups in regional city mags pointed me towards at least a handful of better rated pizzas: Pizzeria Mozza, 800 Degrees, Olio, Vito’s, Sotto …Westcoast friends chime in here! 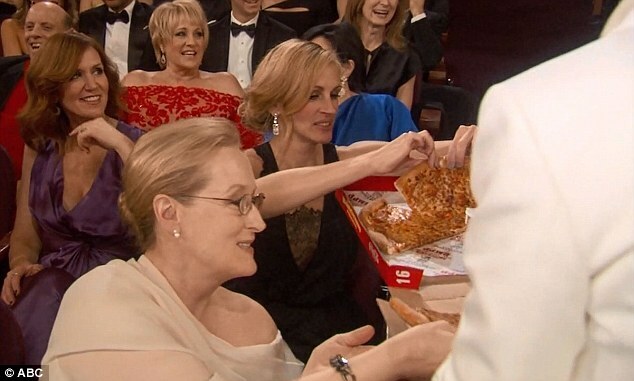 This only leaves me contemplating: Who would I invite to my dream pizza dinner party and what pizza would I serve? Well… that part’s obvious.